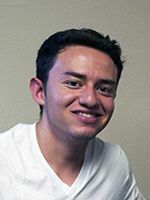 Six University of New Mexico students stood out from their peers based on their resilience and dedication to a university advisement program. Samantha Abeyta, Gabriel Aguirre, Savannah Cheek, Kevin Garcia, Josiah Martinez, and Shantell Moreno are being recognized with the Student Support Services (SSS)-TRiO 2016 Collin Smith-Levin Achievement Award. The award provides federal grant aid for eligible participants in the SSS-TRiO program. SSS-TRiO provides intensive advisement and program services that include peer coaching, financial guidance, social/cultural activities and exclusive TRIO scholarship opportunities. “The recipients were chosen for this award because of their perseverance in overcoming barriers while maintaining strong program involvement,” said Dawn Blue Sky-Hill, SSS program specialist. One of the recipients of the award, Aguirre, plans to pay for his summer tuition and fees with the money. This help tremendously with school—something he normally has to cover out-of-pocket. Abeyta, another recipient, praised the program saying that it has helped her in so many ways including developing close bonds with her advisors. 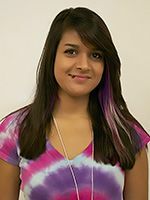 “SSS-TRiO is always there to remind me to take time for myself, take time to get involved and to push myself,” Abeyta said. The nationally recognized SSS-TRiO program was established by the U.S. Department of Education in 1965. The University of New Mexico was awarded the grant program in order to provide support services for individuals, from first-generation and low-income backgrounds, to earn a bachelor's degree. UNM’s Division of Student Affairs oversees the program. For more information on the program and how to apply, contact Blue Sky-Hill at 277-3230 or visit the SSS-TRiO website.